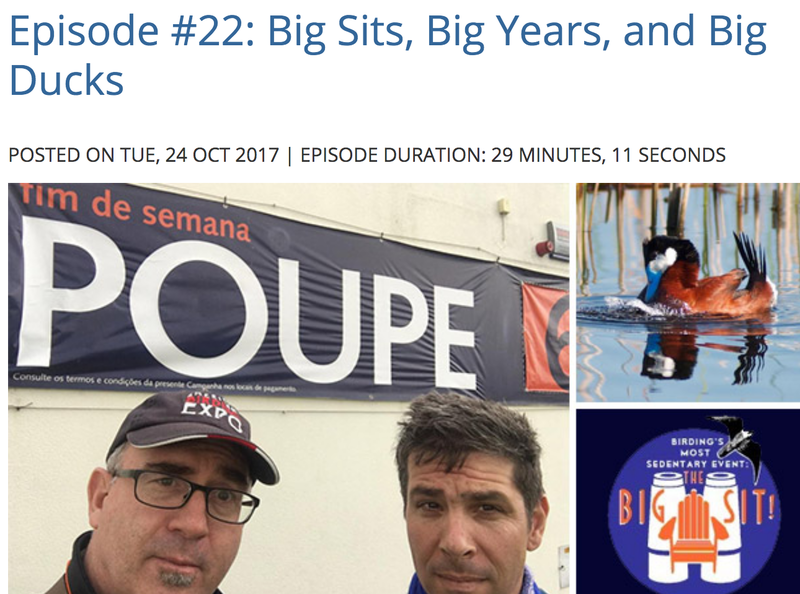 Bill of the Birds on Blogspot: Ear Candy Alert: Latest Podcast Episodes! 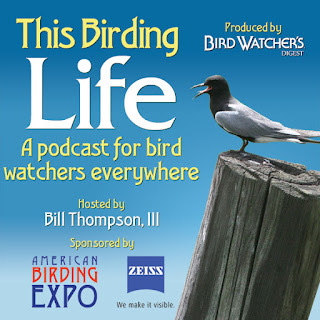 If you enjoy listening to podcasts about birding, there are new episodes posted in the past few days from two podcasts in which I'm involved. This Birding Life has been going for more than a decade and just passed the 70 episode count. Episode 73 is a collection of four different birding-related stories I recorded during a recent trip to Taiwan. These first-person tales range from trying to charm you way into an exit-row seat on an international flight to being rescued in dire remote circumstances. Here's a link to listen to episode 73 of "This Birding Life" entitled "More Birding Stories." 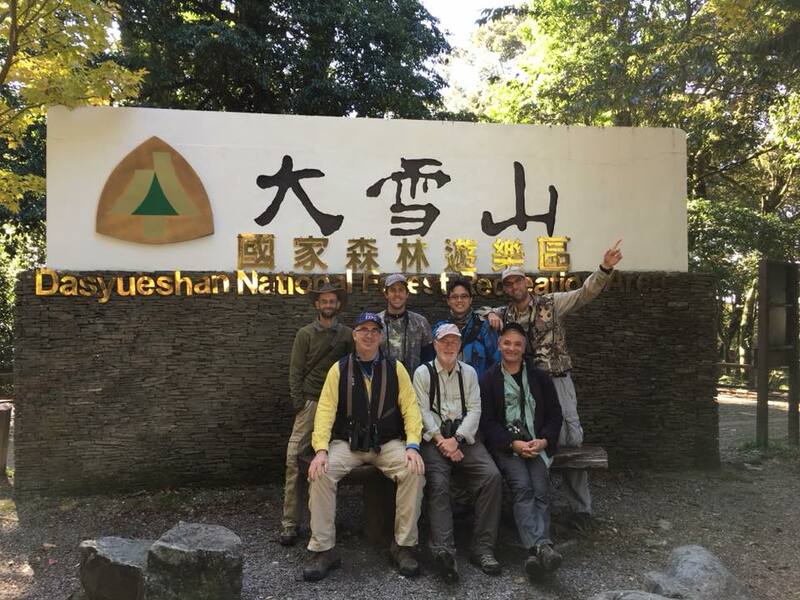 That's me in the yellow sleeves with our Taiwan birding group. 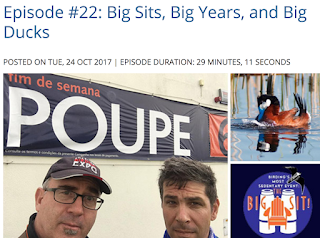 "Out There With the Birds" is the second podcast I'm part of, along with my colleague and friend Ben Lizdas. Where TBL is an interview-style podcast with me interviewing an interesting person or people, OTWTB is pretty much just Ben and me talking back and forth about anything that comes to mind. And we usually crack up along the way. Ben lives and works outside of Madison, Wisconsin, so most of our episodes are recorded via Skype, which makes the audio quality , occasionally challenging. When our paths converge, we record episodes in person and take lots of silly selfies. Here's a link to a recent episode that included a short discussion about recent research into male duck genitalia. If you like what you hear, please click on the RSS feed link to be notified when new issues are posted. TBL is once monthly, OTWTB is twice monthly. In between episodes, you should go birding. Happy listening! We'll see you out there with the birds! The podcast was very informative. I love House Sparrows"
Hi thanks for this entry, I will be coming back here! The food was always great, I think they just updated their menu and it's off the hook. Who would expect delicious pizza at such big Los Angeles venues. Not me, but you can get some of the best pizza there. The best place in this area.